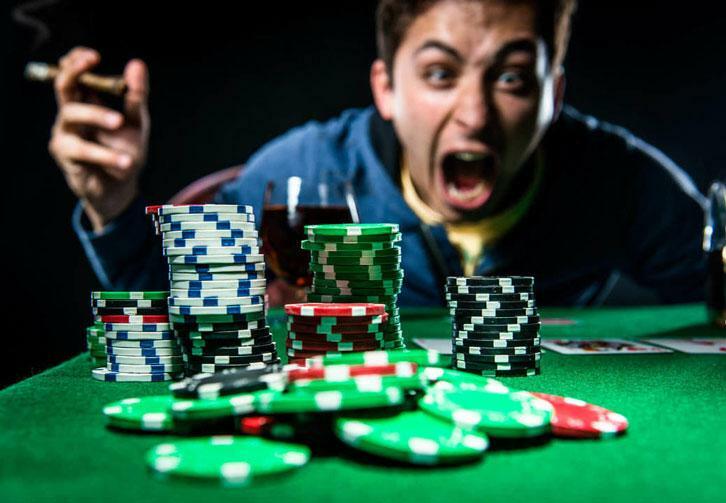 Rate this Article Before playing any online casino games, it's best to first learn about some of the common yet unspoken etiquette just so you and every other player in the game can have a good time playing the games you all enjoy..
Like its real-life counterpart, online casinos have been around long enough to have developed their own set of accepted behaviors, some of which are pretty much the “unspoken” sort. So, if you’re new to the online casino scene, you might be interested in learning more about online casino etiquette. Some online casino etiquette are similar to the ones you’d follow if you’re playing casino games offline. For instance, players are often advised not to slow down a game by taking forever to decide on a move, especially in games where there is no time limit for a player’s turn. Some online games may even have an increased pace that is intended for advanced players. If you’re new, it’s best to avoid playing at these tables as you might end up holding up the game. It’s also considered rather rude to go AFK (away-from-keyboard) in the middle of a game. So, if you have something urgent to do, it might be best to just fold and sit that game out. This is no laughing matter though – players who are found to have been deliberately obstructing a game might get blacklisted or barred from the game. As with any online game, there are also certain etiquette when it comes to chatting. Usually, most online casinos, like slotozilla.com, will moderate the chat system in addition to the basic chat restrictions on offensive languages, like swearing, racism, hate comments, etc. However, there are some unspoken rules that you might not be aware of, such as not typing in capital letters (or in CAPS) as that is equivalent to shouting in real life. The chat system is also there for players to introduce themselves, meet new friends and have some idle chit-chat or friendly banter during games. It’s not a conduit for players to vent their frustrations on the rest of the players at the table or to harass other players. This advice rings true regardless of whether you’re playing a live game or not. Just remember that these are real people you’re playing against, and don’t forget that playing aggressively is very different from being aggressive. If you happen to be in a game with a player that’s just being really abusive and offensive, and is ruining everyone else’s experience, it’s your, as well as the other players’, duty to report that said player. After all, by keeping your favorite online casinos free of these toxic players, you will not only create a better gaming environment for yourself but also for your fellow players. A fair warning though – don’t use the report button to report players that you don’t like. Some players might be obnoxious, but they are definitely not abusive or offensive. Computer sharing is another major issue when playing in online casinos. It’s often wise to inform the operator of the online casino if you share your computer with other people who play on the same site. This is because most online casinos frown upon players who have multiple accounts from the same household. Some may even go as far as to ban all but one account if multiple accounts are detected. Lastly, players are expected to respect the support staff of the site. It’s completely understandable that sometimes, you might get frustrated with something on the site and accidentally direct your exasperation onto someone else who is actually there to help you. Just remember that it won’t do you any good by venting your fury on the poor fella, and in the end, you might not get the help you need. By treating them the way you’d like to be treated in the same situation, the issues will likely be resolved without any unnecessary and additional anguish or altercations. All in all, these are some of the most important online casino etiquette that you’ll need to know prior to heading into a game. Most of it are just common sense, but it’s still best to keep these in mind just so you and every other player in the game can have a good time playing the games you all enjoy.